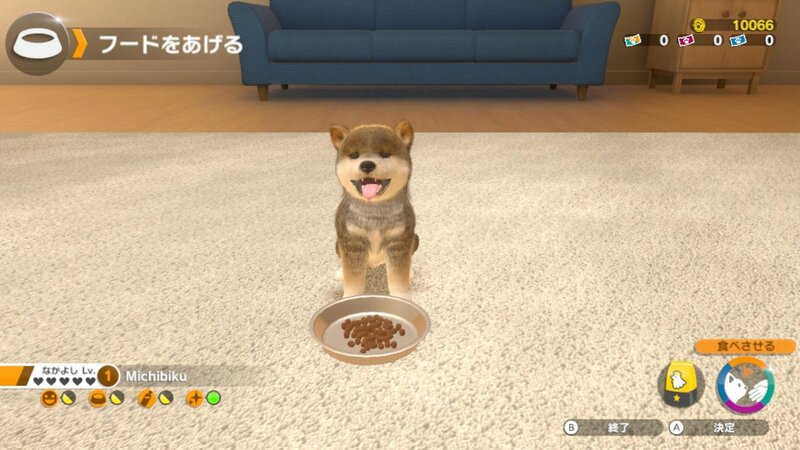 Pet simulators on Nintendo platforms have a rather high bar to clear. This is a company that has given the world Nintendogs, then Nintendogs + Cats. Both games give people the chance to play with many adorable animals from an array of different breeds. The second one even manages to make cats, animals that sleep about 12 hours each day, interesting. Little Friends: Dogs & Cats has big shoes to fill. 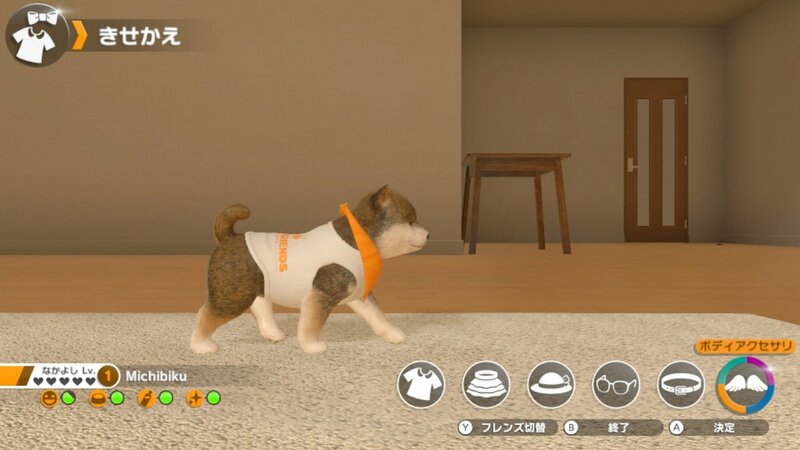 Fortunately, if the Japanese demo is any indication, it seems like it is going to do its best to attempt to embody the spirit of Nintendo’s iconic pet simulation series. 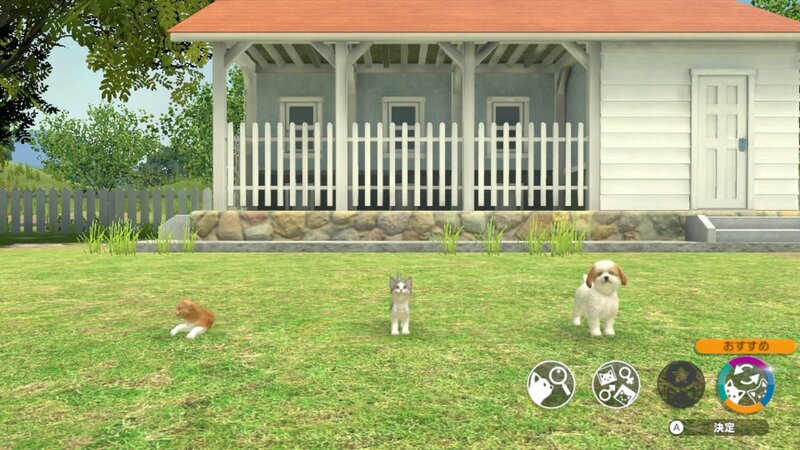 The Little Friends: Dogs & Cats demo, which is immediately available for free on the Japanese eShop, is rather rudimentary. You get a chance to pick out a pet first, with three random cats and dogs appearing at a time. This takes part in a friendly environment that calls to mind an animal shelter. You’re in a backyard. You can watch the babies frolic and play. If you zoom in on one, you can find out details about things like its breed and gender. You can pet them. Say you find one that looks appealing, but want to be certain this is the dog for you. You can temporarily favorite it and cycle in other random choices. It is an opportunity to browse in a friendly environment that doesn’t make it feel like you are abandoning puppy mill animals in an unfriendly store by choosing one favorite over another. These animals look great in the demo. The dogs especially are lifelike, with different varieties nailing definitive traits of certain breeds. Shiba Inus have curly tails. Toy poodles are bundles of fluff. German Shepherds are massive, with huge paws and striking coats. Every animal has fur patterns that are realistic and detailed, and their default faces can even vary from breed to breed. Cats are a little more hit and miss, since some of their faces have a bit of an unnatural look to them, but they have the same high quality pelts. Picking a pet takes them home with you. There, you can learn about the basics of pet care. Little Friends: Dogs & Cats focuses on the essentials in this sample. You can brush and pet the animal, which brings up their happiness. This can be done with the touchscreen in handheld mode or Joy-Cons when docked. You are given some standard dry food to feed them. You can set out water. It is possible to take them outside to use the bathroom, when needed. Some initial dress-up items are even offered, to get a pet looking dapper. The animal you choose will react realistically in the Little Friends: Dogs & Cats demo. If you pet the right spots, they will sit or even get so relaxed that they will begin to nap. A puppy might go for a good howl. The animal could run around the room or do tricks like offering a paw or sitting up while you are watching. It is, in a word, charming. While it doesn’t allow access to things like competitions, outdoors activities, room decoration or shopping, the Little Friends: Dogs & Cats demo does suggest things you would have access to. You can see the tickets you might earn to participate in events. You can glance at the shopping categories that could send you to pick up new outfits, toys and supplies to keep a pet alive. There is the promise of pet playdates you could arrange or walks you could get to take. You are limited to one pet here, but the full game would allow you three. There are also hints at achievements, of sorts. Taking care of your pet will let you bond with it. There is a relationship level that shows the devotion and trust your animal will have, thanks to your positive actions and experiences together. There is even a Goals stampbook, where you get stamps for completing actions for and with pets in certain categories. For example, the Contact section rewards you for petting your animals, with different numbers of strokes unlocking more and more stamps. It seems like there could be a sense of achievement and growth here, even if all your perfect friends get to stay babies forever. It seems like Little Friends: Dogs & Cats is a game that could have potential. 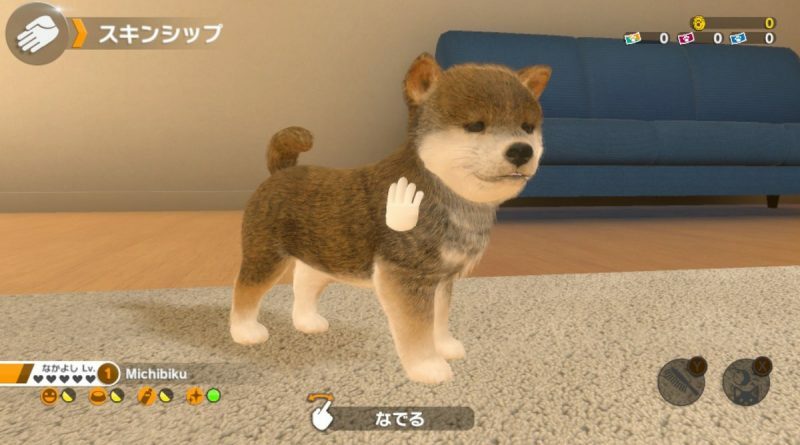 It does not have all of the features something like Nintendogs + Cats did. We are not going to have animals recognizing our faces or responding to the sounds of our voices. There won’t be that sense of whimsy Nintendo offers in its games. But what is here in the demo seems substantial enough, with a sense of possible progression and purpose. Also, all the animals are very cute. Little Friends: Dogs & Cats is immediately available on the Nintendo Switch in Japan and will appear on the system worldwide in Spring 2019.